Weddings are a time of celebrating. I love the idea of gifting your besties with some fun entertaining goodies. 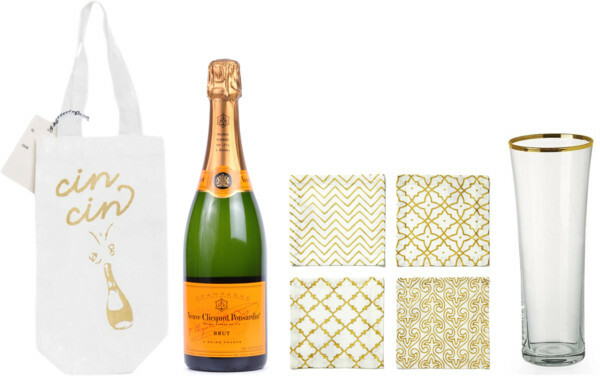 A great bottle of bubbly in a fun tote, patterned coasters and gilded glasses create a well curated gift for the ladies who will be standing by your side when you say I do. 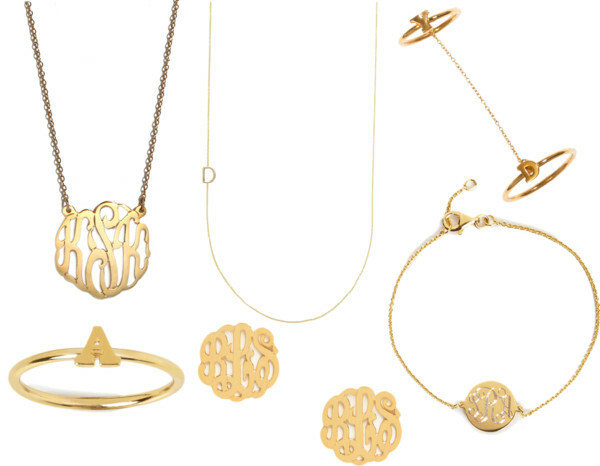 Monogramming and bridesmaids gifts go hand in hand. One trend that looks like it's here to stay is fabulous custom jewelry. I love the many different options available to gift to each gal according to their personal taste and all are available at BaubleBar for one stop shopping. Just remember these take a few weeks to make, so order early! Almost everyone these days has a smart phone. 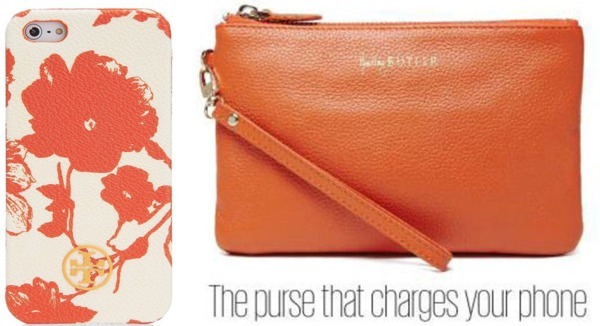 While I already shared this fabulous charging wristlet here, I thought a perfect gift would be to pair it with a well coordinated stylish tech accessory for use long after the big day. A classic clutch that can go from the wedding day to everyday use. Clare Vivier offers a plethora of options to coordinate with your big day's color palette and I have yet to meet a female who doesn't love a great clutch for nights out on the town. Wedding season usually falls through the warmer months, why not gift your ladies with a fabulous set of canvas tote bags for bringing to the beach or for the weekend getaway. Iomoi is behind this stylish trio making monograms super unique and always stylish. 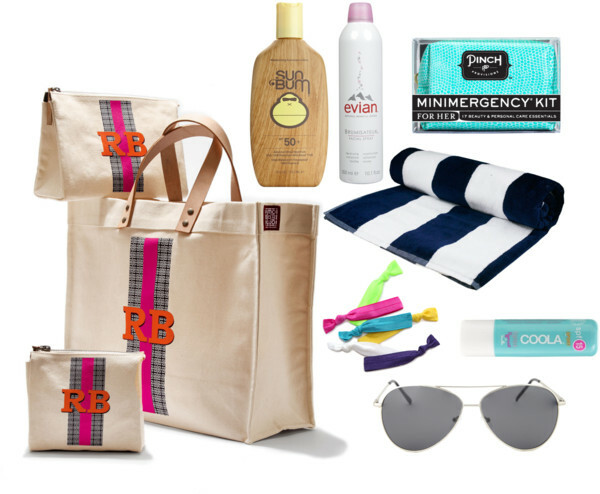 You can take your gift one step further and fill the totes with their favorite beach accessories. check out more gift ideas over here on Pinterest!